A striped tunic dress is an everyday wardrobe hero. The Tim Tim Tunic Dress sees a new season update on a favourite creating a versatile casual dress. 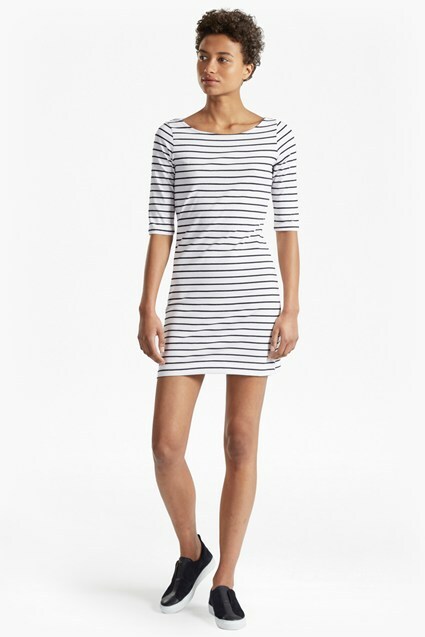 The form-skimming tunic dress is covered in a fresh cream and black stripe, which is inverted on the lower half of the dress to make the darker stripes the focus. The contrasting blocks of colour add interest to the understated dress, which pairs perfectly with trainers for easy off-duty style.